Elite Local Locksmith Wigan provides a number of safe services in Wigan and its environs. If you lose your safe key or combination, contact our locksmiths to rectify the situation. We are guaranteed to help you open your safe using accredited methods. Moreover, the contents of your safe are not destroyed. Secondly, we carry out safer lock replacements and lock upgrades. Many individual seek to enhance the safety of their valuables by upgrading their safes’ locks. 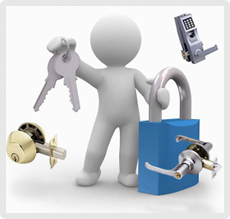 We will install various types of locks in safes. We specialize in the installation of electronic safe locks. There are a number of reasons why many Wigan residents prefer electronic safe locks. For starters, electronic safe locks have audit trails. Consequently, you are able to know the number of times that the safe has been accessed. Secondly, by using an electronic safe lock, an individual does not have to remember safe combinations. Our expert also provides safe restoration services to individuals whose safes are battered. You are guaranteed that your safety will be restored to its former condition. We also provide free quotations for safe restoration services. Moreover, we furnish you with details of how we will improve the safe’s functionality and originality. Changing a safe’s combination can be a hectic task for an individual. To this end, Elite Local Locksmith Wigan seeks to ease this burden on individuals by providing safe combination change services to individuals. Changing your combination also enhances the security of valuables in the safe due to the fact that only you can access the safe. Over the years, we have also gained expertise in the designing and building of safe rooms. If you require a safe room to be built in your home or business, Elite Local Locksmith Wigan will build the safe house at an affordable price. We also build the safe room according to the individual’s specificatios. In addition to building safe rooms, we can also install security systems in the safe room. Some of these security installations include seismic sensors, alarm systems, CCTV systems, shock detectors and safe deposit boxes among others. Elite Local Locksmith Wigan also provides safe disposal services to individuals. We specialize in disposing of safes irrespective of the type and weight of the safe. We will remove your safe with care and dispose it in accredited sites. Safe removal is another service provided by Elite Local Locksmith Wigan. We have the equipments and skills to remove any size of safe from the individual’s premises. Our safe removal ways ensure that we do not damage your property or the safe .In addition to safe removal services, we also provide safe relocation services. For all your safe services needs, contact Elite Local Locksmith Wigan for professional safe services.